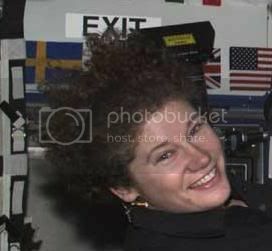 As I needed references for Zero-G hair for my current project, I decided to run a search and post findings here for anyone else who'd find them useful. 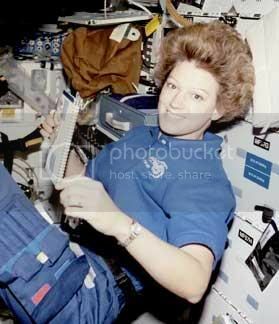 I will take this time to bring to light the general suckiness of the safety regulation or whatever it is that encourages female astronauts, especially the ones with really long hair, to keep it tied back. Honestly, even these shots were hard to find. Last edited by SJ Bennighof; January 12th, 2005 at 07:38 PM. I think you could get the same effect from a girl in water if she's plunging down. Look for girls on roller coasters that go up and down like drop zone. Well, water has a tendency to change the texture and suppleness of the hair as well as subjecting it to more disruptive turbulence. In addition, gravity is still not absent, so the hair is then subjected to the downward force, and if it is still bouyant, the effects of the bouyant force. 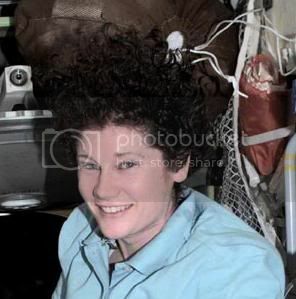 If the astronaut in the first two shots there was submerged in water in gravity, her hair wouldn't be as neat and regular as that, it'd be much more wild and sticking to itself and so forth. I think you'd also see more of a sense of the hair folding around itself in layers that are parallel to the ground. If she was plunging down, that would also be inacurrate as the lack of gravity means that no noticeable force is acting on the hair. 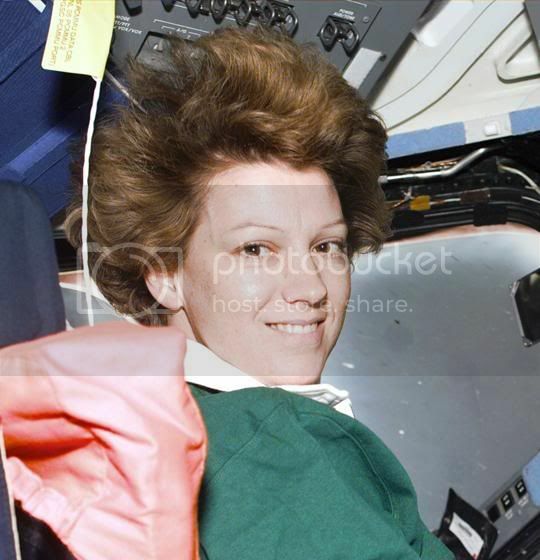 Plunging down in water would pull the hair up farther than it would be in zero gravity. As for roller coasters, that's more likely, but it would need to be one of those "free-fall" coasters that are nothing but a straight drop. Caption: "Here's Chris and Jack. Chris and Jack talked to their doctor about Enzyte(tm), the once-a-day tablet for natural male enchancement."